I love the Vegas market! Every year I try to make it to market for at least one day, but with 3 interconnected buildings and 40 floors of exhibits, it’s impossible to see everything unless you can spend at least 3 days touring the market. There are over 4,200+ samples of furniture, bedding, lighting, flooring, accessories and gift resources. It’s THE place to find trends for the coming year and for my company to meet new suppliers to help us create designs that wow our clients. For me, it’s like Designers Disneyland complete with stars like the Property Brothers who were launching their new furniture line. My husband really wanted me to stand in the LONG line to meet them and get a picture, just so he could show friends at home how tall the Property brothers really are. I, however, chose to pass on the opportunity. So, what’s new, what’s hot, what do we have to have? Fur! Lot’s of fur, especially white fur. White fur chairs, benches, cubes, and puffs. Fur was also hot last year so there was no surprise here, but this year the chair frames are chrome, gold or acrylic where last year frames were made of dark woods, metal or silver. The fluffy benches and puffs are used for accent pieces, at the end of beds, and even coffee tables. Fun, fun rooms! Sofas are lower profile and fabrics are primarily neutrals creams, beiges and grays predominate the upholstery. Looking for something different and a little dramatic? Try a little velvet in the living room. Dark emerald greens, navy blues, and teals are hot for those who want to get away from neutrals. When staging, I stay away from the pieces that feel very faddish, but for living it can be a very fun change of pace. Colors this year seem to be on opposite ends of the spectrum. Purples were everywhere, showing that Pantone’s color of the year is really being embraced this year. There were lots of ideas on how to bring this royal hew into home décor. Tired of the fluffy white lambskin throw? Try the same throw in Ultra Violet it’s awesome. I wasn’t as enthralled with the purple fabric headboards, but I do have to confess to a love of the deep purple bath towels. I also loved the fluffy purple accent pillows and purple shaded stemware. All modern just launched a purple velvet chaise that would add sophistication to a bedroom or office/library, but I really wasn’t too excited about the accent rugs with cream and purple patterns. Purple may have been a little dominant but bright orange and all shades of blues are also very hot for accent chairs, pillows, artwork, and puffs. On the other side of the spectrum, mauves, creams, and pale blue pastels were also dominant in everything from bedding to upholstery. Bedrooms are becoming more casual and eclectic. Headboards are lower or non-existent, making room for large dramatic art or unusual lighting. Side tables were made of everything from marble to metal. Puffs, wicker barrels, or even reclaimed wooden chairs are being used to create what I can only call “messy chic” yes you can quote me on that one I did make it up Rather than crisply made beds, with comforters neatly folded back to make room for carefully placed bed and accent pillows were replaced with comforters crinkled back to suggest a messy unmade bed, still covered in bed and accent pillows and the occasional fur throw. I think to sum up the 2018 trends, it’s another year of fun décor’ where anything goes. Please visit my Facebook page at www.facebook.com/stagingforcharisma and post a comment. I’d love to hear your questions or challenges, if I don’t know the answer I’ll find an expert who does! Pam Christensen specializes in working with investors to help them maximize their return on investment by providing high-quality staging that gets results! 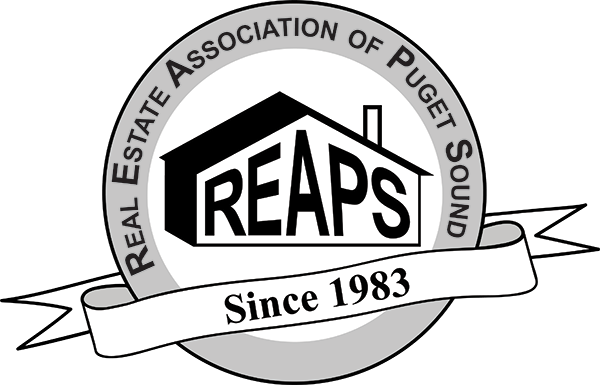 “REAPS is the oldest – and largest - Professional Association for the real estate investor this side of the Mississippi. 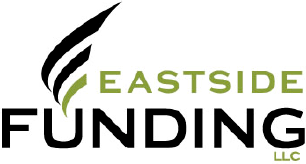 We provide education and networking resources for real estate investors, those who want to be investors and anyone who provides value to our members. Our goals are to motivate and support our members and guests through education, discussion, legislative action, and networking. We host over 40 live events a year around Puget Sound and they are all open to the public. If you've never attended one of our meetings, just email our office at [email protected] and be our guest for free!"